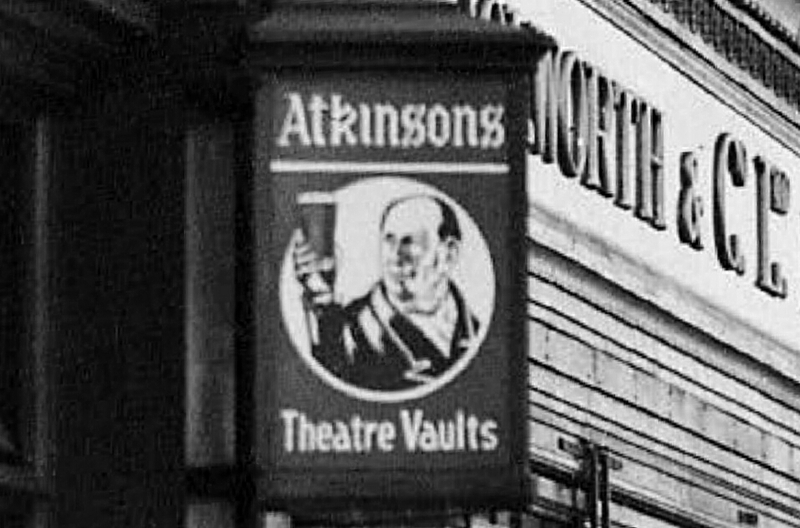 The Theatre Vaults pub sign with Woolworth’s at the right. 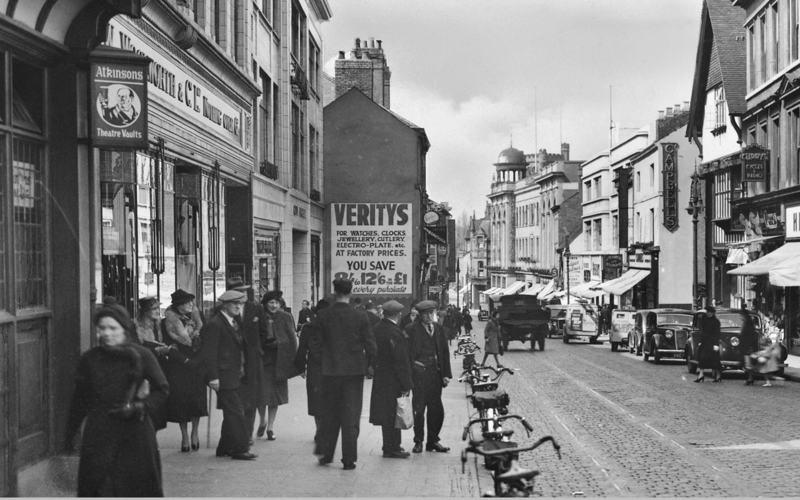 Above: at the left, the Theatre Vaults pub, Woolworth, City Arcade. 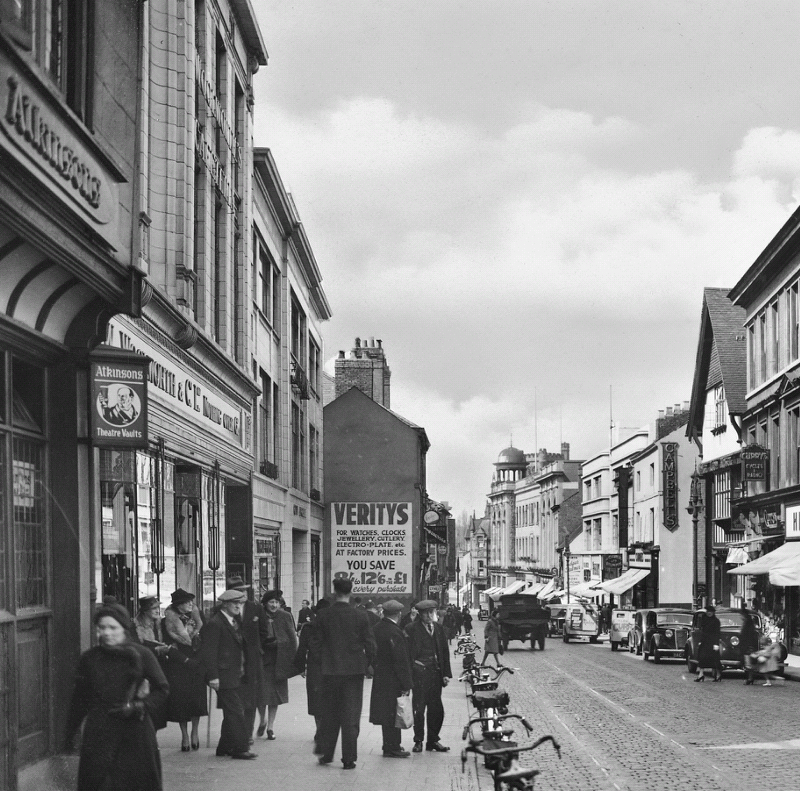 Opposite the arcade entrance across the street is Currys bicycle and radio shop, next to the first black car.